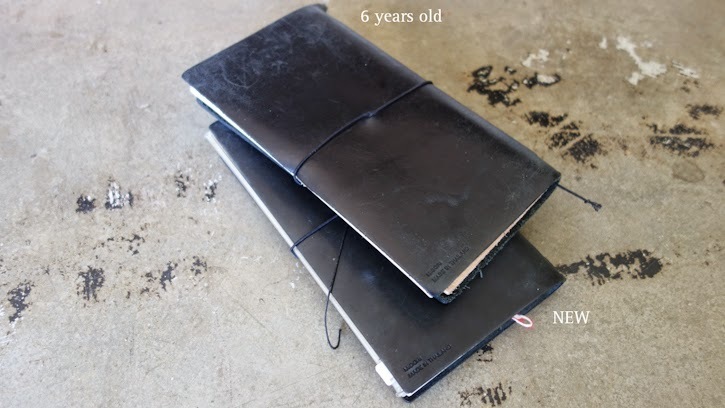 Our dear customer Kaori-san asked me if a black Traveler's Notebook worn in like a brown one. 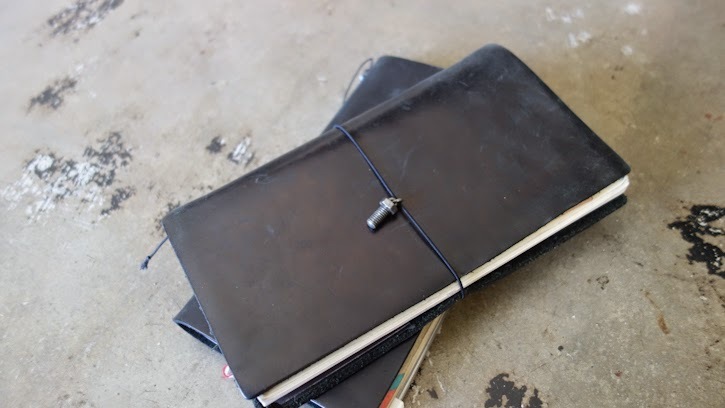 (She is thinking of giving a black one to her husband as a special gift:) So I wanted to share some pictures of how 6 year old black Traveler's Notebook would look like. 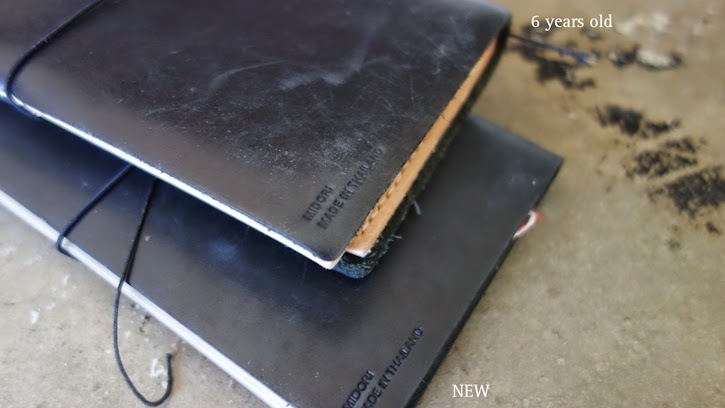 Frido bought a black Traveler's Notebook when I got my brown one (which is also 6 years old by now...). I love the comparison between brown and black leather. 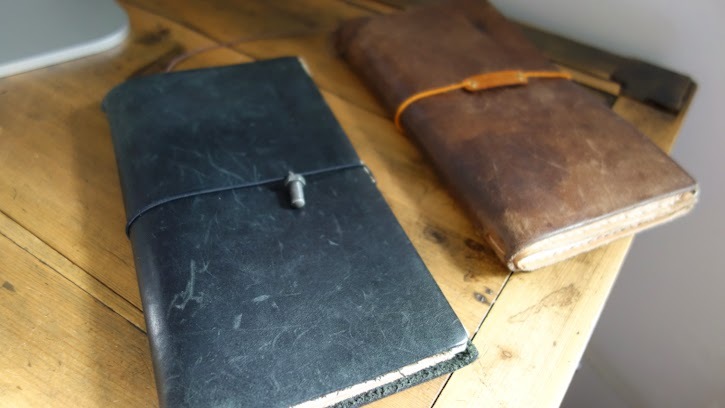 Black Traveler's Notebook does scratch as much as the brown one but from my personal observation... the color of the leather does not change as much as the brown one. 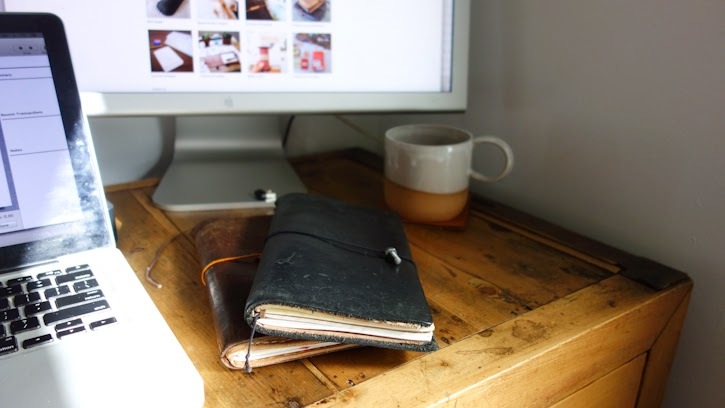 I know a lot of our customers who enjoy using their Traveler's Notebook in the office environment prefer the black Traveler's Notebook because it fits more into the environment. The less changing leather color can be a positive attribute for the reason. Scratches on the black leather are also not as visible unless you put the leather under direct light. 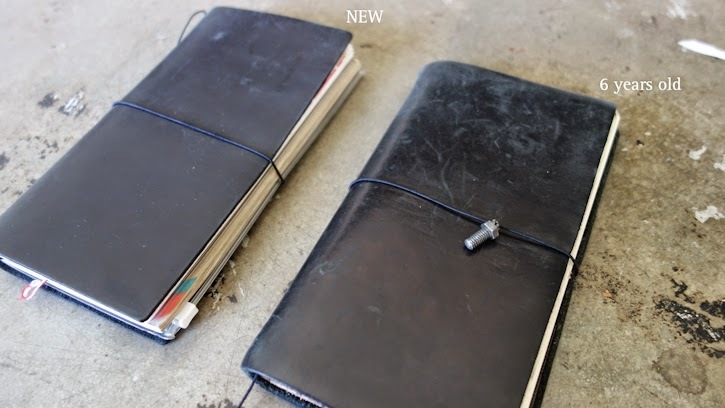 I am glad I got brown one and he was thrilled to get the black one because having two identical leather notebooks under one roof can be little tricky, right? I hope these pics are helpful, Kaori-san!